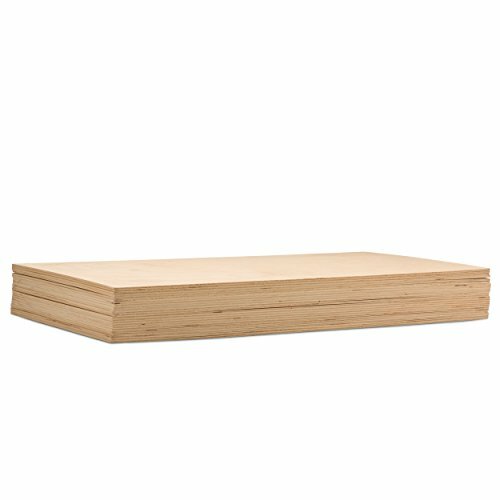 The inner cores of this hardwood are comprised of a solid single-piece Birch veneer, making for a more compact foundation and adding to the greater strength and durability of each sheet. The face veneer features a beautifully smooth and clean surface that is free from knots, plugs, and open cracks or splits, while the back surface typically has 1-2 small color-matched patches. The thick face veneer also provides a smoother surface for CNC routers or engraving machines to glide on the wood. This B/BB-grade hardwood made from top-quality Baltic Birch offers an economical alternative to higher-priced tropical plywoods. The variety of natural markings and patterns on the back side give the wood an aesthetic appeal and natural beauty, while the smooth surface of the face side allows for convenient painting, stenciling, staining, and wood burning. The flexibility of Baltic Birch Plywood makes it ideal for both large construction projects and homemade woodcraft. This package includes 6 sheets of 5 mm 1/4" x 11-7/8 x 11-7/8 in Baltic Birch Plywood from Woodpeckers. 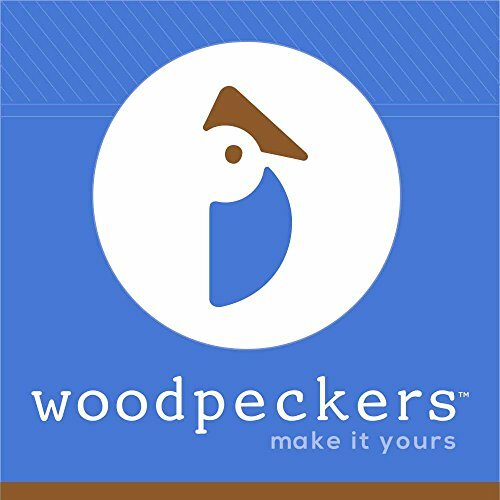 Woodpeckers is dedicated to providing you with nothing but premium products. Our products are specifically designed to exhibit the masterpieces of woodwork business owners, home crafters, and artisans who strive to perfect their crafts. Furthermore, our partnership with you continues long after your purchase. Our highly trained customer care agents are equipped with expert knowledge regarding our products, and we'll be glad to assist you regarding any concern or inquiry. Let the quality of your buildings become the industry's next standard with this heavy-duty Baltic Birch Plywood from Woodpeckers! GRADE B/BB - This hardwood has a single piece face and a back veneer. The face veneer has a smooth surface with a light uniform color, while the back surface typically has 1-2 small color-matched patches. The thick face veneer also provides a smoother surface for CNC routers or engraving machines to glide on the wood. 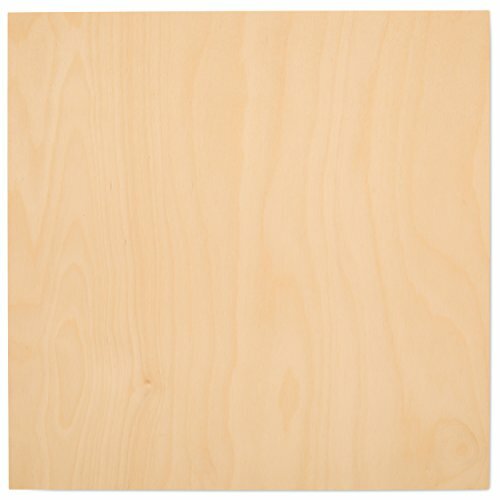 HEAVY-DUTY - This multi-coated plywood made from Baltic Birch offers exceptional durability, rigidity, and stability. Its surfaces also provide excellent holding power for glue and screws. MADE IN Russia - Known as one of the top producers of lumber in the world, this Russia-made plywood was manufactured using the latest methods in wood production to build construction hardwood that's extremely durable and creep-resistant. SCROLL SAW AND LASER CUTTER COMPATIBLE - The thick layers of this Baltic Birch Plywood are designed to smoothly glide through scroll saws and laser cutters, making it the perfect plywood for both low- and high-production woodworks that require efficient woodcutting. EXCELLENT AFTER-SALES SERVICE - We are dedicated to partnering with business owners, home crafters, and woodwork artisans who strive to perfect their crafts. Our highly trained customer care agents are equipped with expertise regarding our products, and we will be happy to assist you with your concerns and inquiries.